The deadliest terror attack in Africa’s history began with a loaded truck barreling down a busy street in Somalia’s capital, seemingly bound for the international airport and the embassies sheltering there. The truck instead detonated in Mogadishu traffic, killing well over 500 people. Somalis who had witnessed decades of chaos were horrified. In a rare protest, they marched by the thousands to defy the Islamic extremist group that is now the deadliest in sub-Saharan Africa, the al-Qaida-linked al-Shabab. On Oct. 14, Somalia marks the anniversary of the bombing. Many around the world barely took note of the attack, though it was easily one of the worst since 9/11. Imagine, it says, a Washington where the U.S. government controls the White House, a few adjacent buildings and the highway to the airport while insurgents hold the rest. “Every so often, the insurgents fire mortar shells toward the White House.” This has been Mogadishu over the years as the extremists, some of them raised in the United States, surge and retreat. The authors, Voice of America journalists Harun Maruf and Dan Joseph, interviewed al-Shabab members, defectors and others to tell a fluid tale of how an Islamic nation once known for its moderation, not unlike the Afghanistan of a certain age, slid into the hands of young men trained in Osama bin Laden’s camps abroad. “This was the start of the battle between al-Qaeda and America,” one al-Shabab leader later said of the battle for Mogadishu in the early 1990s as bin Laden-backed local fighters attacked U.S. troops who tried to restore order after the fall of dictator Siad Barre. The “Black Hawk Down” attack in 1993 that saw U.S. soldiers dragged through the streets led the U.S. military to leave Somalia alone for two decades. Inspired, a new generation of hard-line Islamic fighters — al-Shabab is Arabic for “the youth” — took shape. The book describes the surprising internal debates over the years as some members of a group known for harsh dictates and brazen bombings argued that only a more accepting approach would win over Somalia’s people as it pursued an Islamic state. The world’s first extremist group to use Twitter to claim a major attack, al-Shabab has been relatively organized, with financing from taxes on captive communities, piracy off the long Indian Ocean coast and, in at least one town, the yanking out of civilians’ gold teeth. For military enthusiasts, “Inside al-Shabaab” has vivid descriptions of street-by-street fighting in Mogadishu as the extremists pushed the fragile Somali government to the edge of the sea. For those wondering how Somalia has never been able to shake off the threat, the book has piercing details of what still goes wrong both among Somalis and in the international community. “My soldiers have to offer to share their lunch,” one commander of the African Union peacekeeping force said of Somali partner forces, long unpaid, who looked on hungrily. Widespread corruption, deeply held clan rivalries, exasperation from both Western and African allies, all have affected the fight against al-Shabab. Now the country, with a Somali-American president who spent years as a bureaucrat in Buffalo, New York, faces the nervous prospect of taking over its own security from the A.U. force in the few years ahead. Officials with the U.S. military, which under President Donald Trump has increased drone strikes in Somalia and put about 500 personnel on the ground, have warned that Somali forces are not ready. And now a new threat has emerged: “Inside al-Shabaab” devotes a chapter to the rise of fighters who have pledged allegiance to the Islamic State organization. ISIS these days might be fading or fleeing. 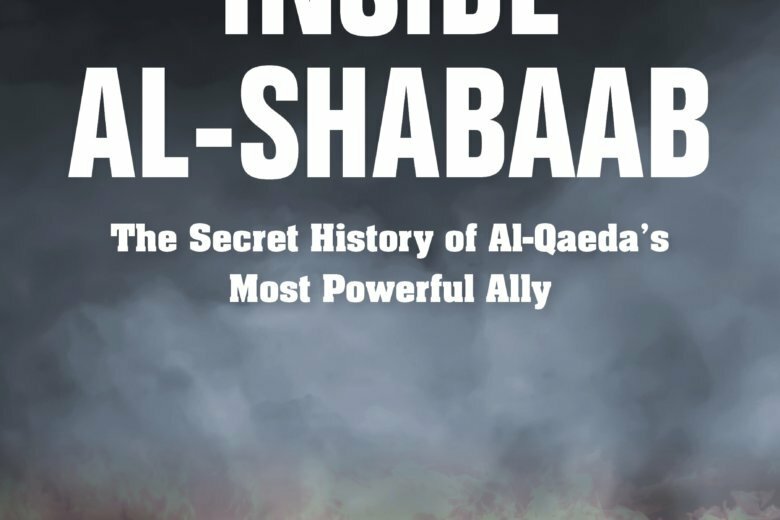 But “by almost any tangible measure … al-Shabaab grew stronger throughout 2017,” the new book says. Meanwhile, al-Shabab’s grip on the countryside ebbs and flows. The extremists have taunted Trump as a “brainless billionaire.” And every few weeks or so, they sneak into Mogadishu with bombs and, at the gates of a hotel or government compound, explode.